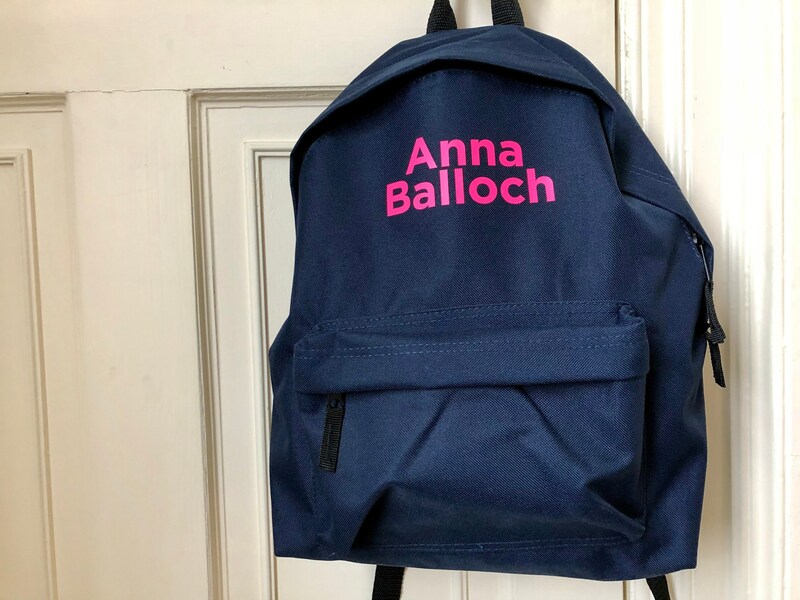 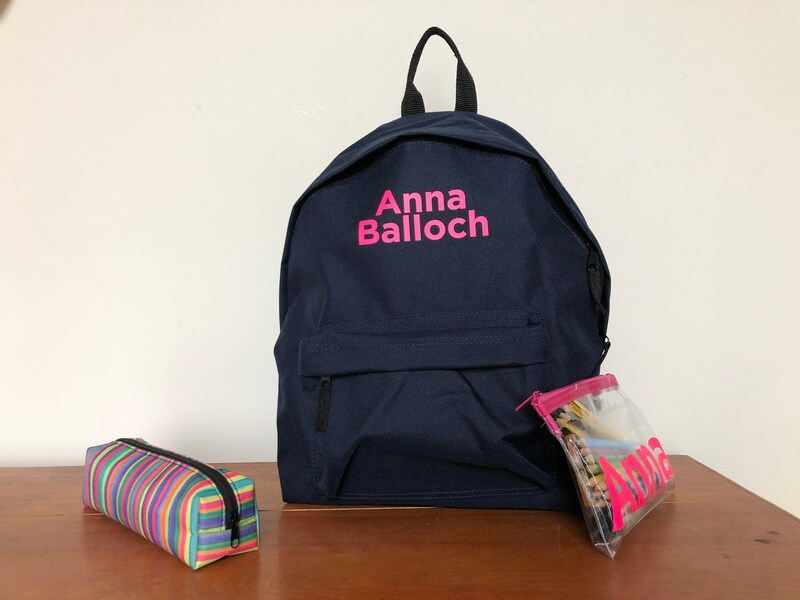 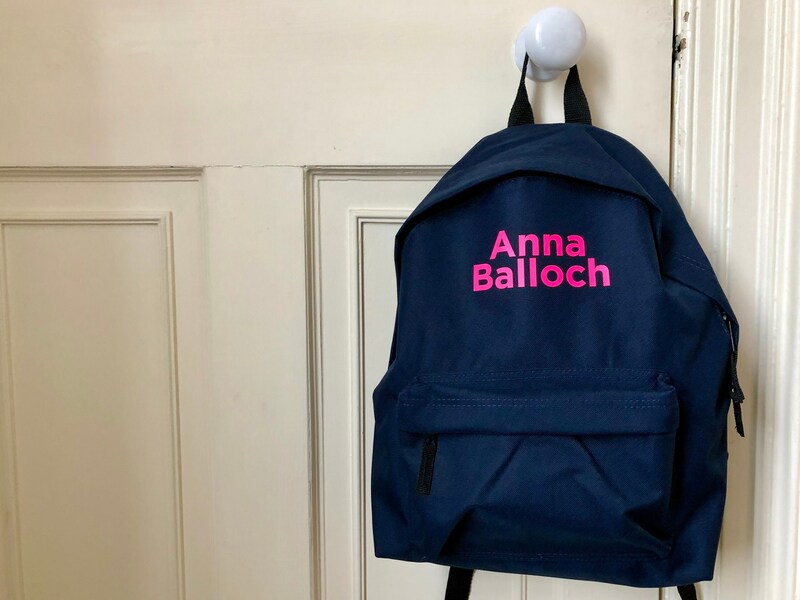 Get ready for school with this personalised Navy blue rucksack. 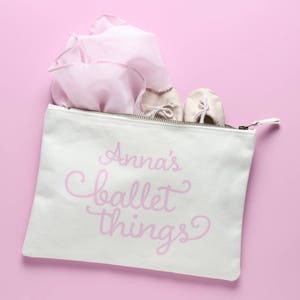 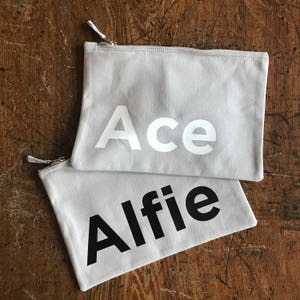 Name can be personalised in a range of colours, please select one in the 'secondary colour' section and fill out the name as you would like it to appear in the 'note to seller' section at check-out. 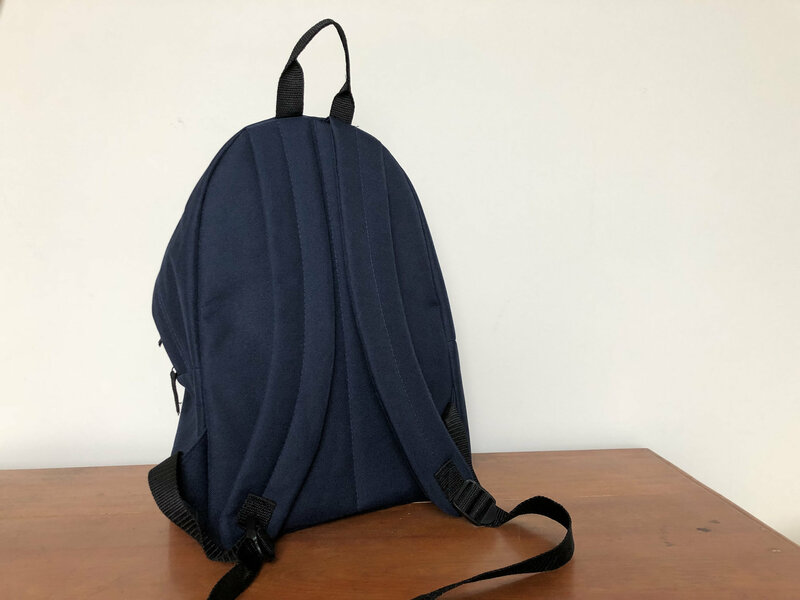 The bag features padded adjustable shoulder straps, padded back panel, zippered front pocket, and a grab handle. 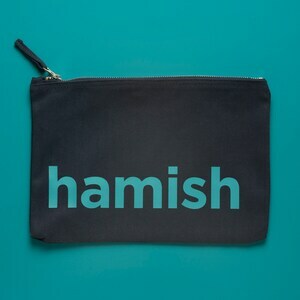 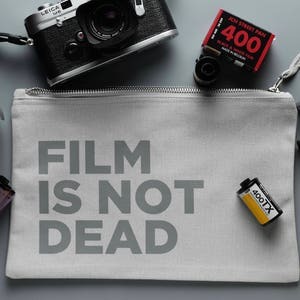 Dimensions: 26x38x19cm made from 600D polyester.